The ASICS Greater Manchester Marathon is hoping to attract a number of British elite runners next spring as organisers again offer a British-only prize fund. The UK’s flattest marathon takes place on April 19 and will feature an increase in the number of places to 12,500, while time bonuses for UK-registered runners only will also be up for grabs. The ‘fastest, flattest and friendliest marathon’ in the UK, which was voted the country’s best marathon in the 2014 Running Awards, has origins which date back more than a century and after vanishing in 2002 the event was resurrected in 2012. 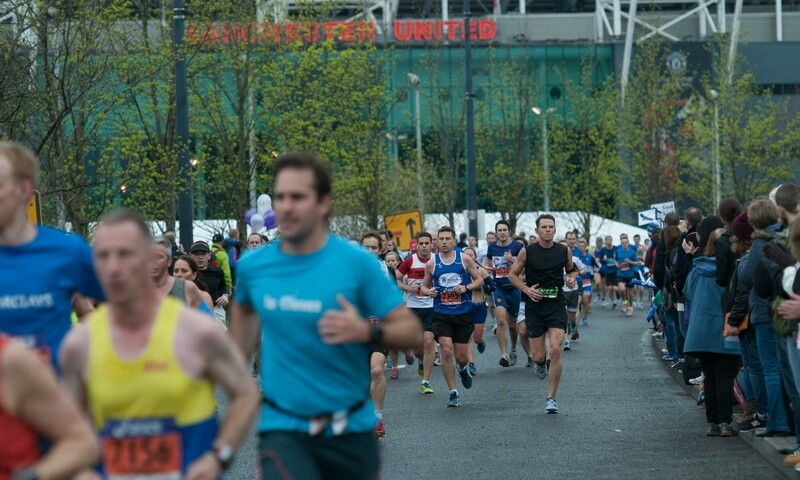 It starts and finishes near Old Trafford, home of Manchester United Football Club, and is ideal for runners who want to set a PB with a course that features just 54m elevation gain. The British-only prize fund includes a top prize of £750 each for the male and female winner, with the full prize list available to view here. The three time bonuses on offer to UK-registered runners only are £10,000 for the top male and female who clock under 2:10 or 2:25 respectively, £3000 for the top male and female who dip under 2:15 and 2:30 respectively and £500 for all who go sub-2:20 for men and sub-2:35 for women. While time bonuses are not cumulative, they are in addition to the cash prize fund. To be eligible for both the British-only prize fund and time bonuses for UK-registered runners, participants must hold a valid UK passport. Age-group prizes of £100 worth of ASICS vouchers are also on offer. The top four men, led by Andi Jones with a course record 2:16:55, all broke the 2:20 mark at this year’s event, while Emily Wicks won the women’s title in 2:38:21, also a course record.